Wayne’s Automotive Center has been the go-to automotive repair and maintenance shop of South Carolina residents for nearly 4 decades. With over 38 years of experience in car repair and automotive maintenance, we have branched out to provide so much more than basic auto tune ups and brake services. Our auto repair service offerings now include more complex transmission and engine repairs, car battery servicing, maintenance work, diesel engine and light to heavy duty truck services. We also offer roadside towing and assistance for those who find themselves in need of a local towing service in Aiken, SC. 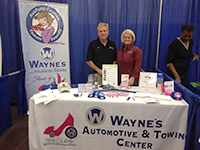 Wayne’s Automotive Center started with a downtown location in Aiken, under the leadership of its original owner, Wayne Anderson. Wayne’s passing left the company under the ownership of his wife, MaryLou Anderson, who later decided to sell the business to loyal employee, Jeff Corbett. Jeff has since been running Wayne’s Automotive for 38 years and counting, along with his wife, Sherry Corbett. 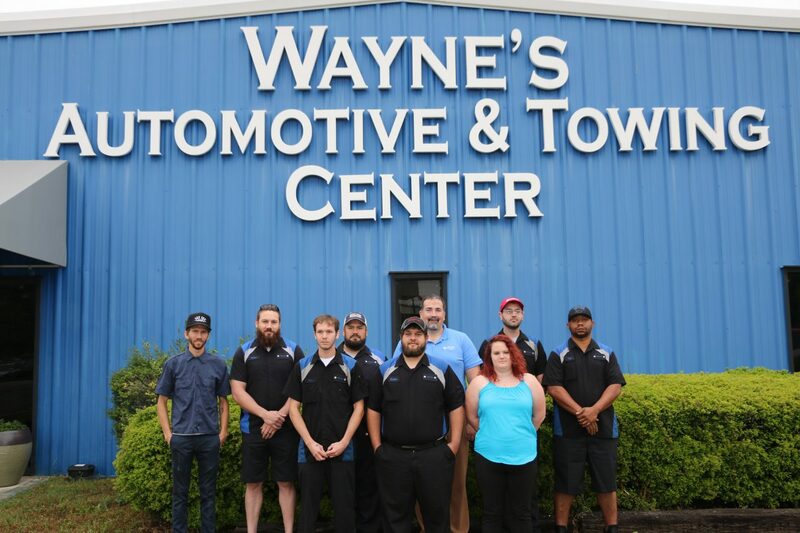 Today, Wayne’s Automotive and Towing Center runs 3 locations, with the main automotive repair shop located at 1997 Richland Avenue East in Aiken. Two additional locations can be found in North Augusta and Augusta, Georgia, the second of which serves as the main Towing Call Center, located at 2840 Walden Drive, Augusta Georgia. The company remains family-owned and operated, with 7 of its 32 employees being actual family members. We welcome each client as one of our own, providing a friendly family atmosphere that ensures a satisfying experience from the time you step into our office to the time of your car pick-up.